The buddhist rosary, Mala, is used for counting the number of times the Mantra is recited. 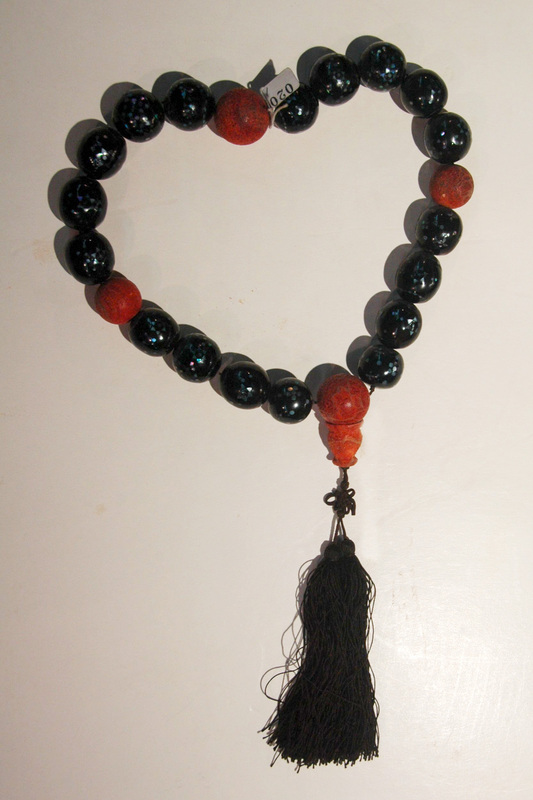 This is a 21 bead waist mala, if you count the numbers there are actually 22 beads, the additional larger coral bead in the center is known as the Guru bead, it symbolizes the Guru from whom one has received the mantra being recited. Within the 21 beads there are 3 marker beads. The main beads are made of blue sand gemstone, while the Guru and separator beads in coral.